This blog entry was first posted on the CILIP in the Thames Valley blog. 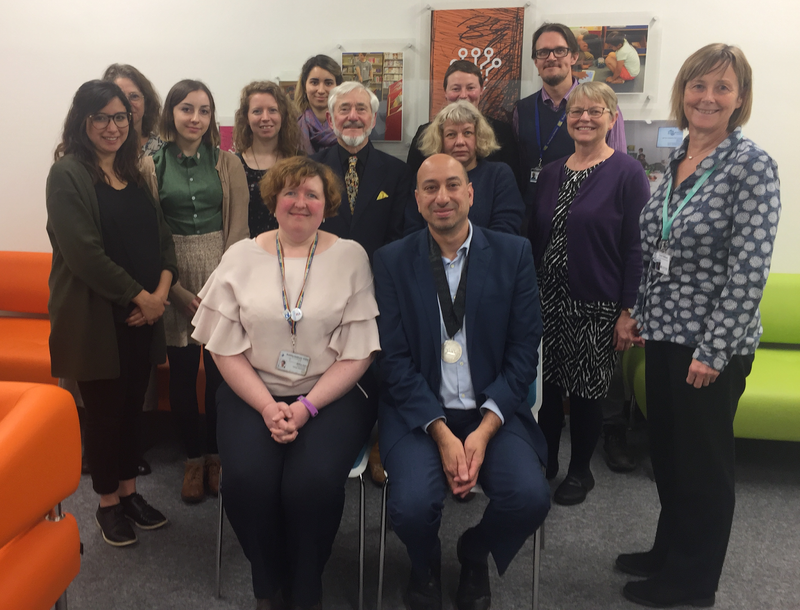 From across the academic, public and specialist sectors, we were a varied group of library and information professionals gathered in Oxfordshire County Library. Ayub Khan, CILIP’s president and deliverer of today’s presentation, pointed out how distinctive this makes our profession: libraries, knowledge and information are an essential part of a uniquely wide variety of industries. For CILIP, he explained, this is both an asset and a challenge. Very few other organisations have such a range of expertise, but how does CILIP speak for members across all these sectors? How, with the ‘international’ theme of this year’s presidency, does it become globally relevant? And who is included in the ‘family’ of L&I professionals in today’s shifting information landscape? What unites us, CILIP has concluded, are our ethics and values. During a recent consultation reviewing its current and future role, the organisation developed a diagram of the Professional Knowledge and Skills Base. With its circular design, the PKSB diagram visually echoes the circular seal of CILIP’s Royal Charter, but updates it to specify the skills relevant to the twenty-first century. Ethics and values were placed at its heart. Built on five priorities (things to do) and six enablers (to help do the things), it gives us a professional framework during this time of ‘revolution’ in how information and technology are integrated into everyday life. The goal is true to the Charter, but with a clear vision of the instrumental ‘benefit’ to democracy, equality and economy. Making this benefit visible to the public, though, can require active promotion of libraries and information; in fact, it was discussed how ease of information access can prevent people from noticing the work that goes into creating that ease. Advocacy is therefore one of CILIP’s priorities (along with workforce development; member services; standards and innovation; and governance and operations). Ayub showcased some recent campaigns. Utilising social media, radio appearances, ‘Facts Matter’ badges and more, perhaps these efforts are working: we were shown an independent poll suggesting that we are viewed as trusted professionals. Still, the impact of our own role is one piece of information that we can sometimes neglect to share! Our core identity as stewards of information is unchanged by technological advances and new social contexts. 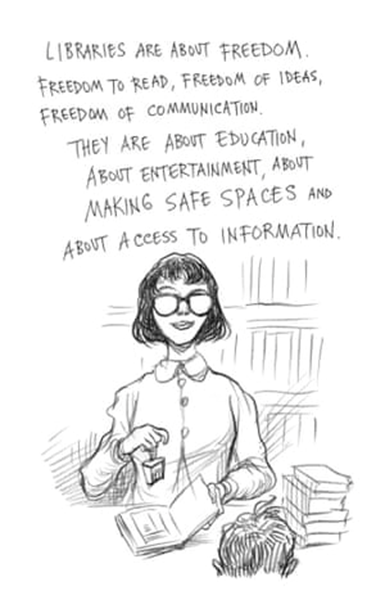 Yes, many of us share a certain delight in books, but, while books continue to be relevant, they are being joined by new ways to organise and access information and knowledge. Ayub encouraged us to work together in adapting to these fresh opportunities. As a graduate trainee, only joining CILIP this year, I am excited to continue this tradition while being part of the future shape of the profession. Even with the help of a library, it’s hard to find the answer to what to expect from the information revolution. There was limited time to discuss future challenges – but one thing we took away from this session is that having a strong sense of who we are as a profession is a starting point for facing these challenges.